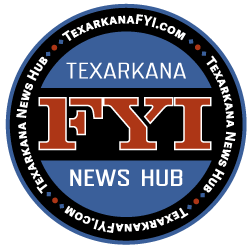 There will be a recruitment meeting for the Bowie County Sheriff’s Ofice Search and Rescue Team at the Southwest Center located at 3222 W. 7th Street in Texarkana Texas on Friday, May 10 at 6:30 pm. If you are interested, please attend this meeting. A 501 (c)(3) Non Profit , All Volunteer Team, Dedicated to Helping Others. We respond in and around all of the Four States area. All training is under the direction of Sheriff James Prince, who has 30 years experience training detection dogs. Do you want to help others? Are you up to the challenge of spending time in the outdoors in all types of conditions? Do you have a dog or horse you would like to train for Search & Rescue? We will assist you in training your dog! 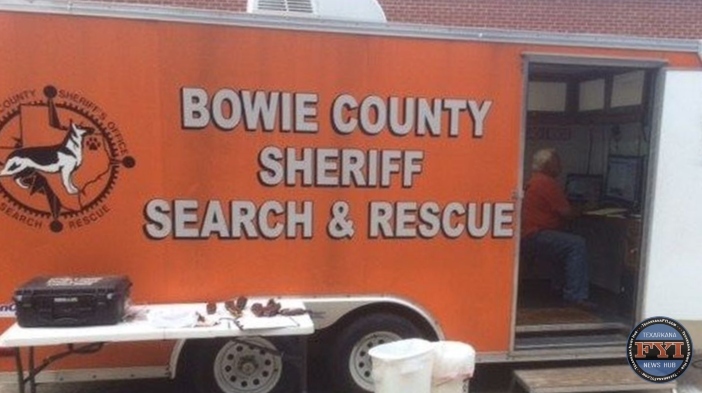 ABOUT BOWIE COUNTY SHERIFF’s SEARCH AND RESCUE TEAM – I am very proud of this group! Here is the history of the team and why we have it, leading to where it is now. During the first year or so after I took office, we had a couple of searches, where I had to call in free lance individual dog teams and even a team from Dallas to help us search for missing persons, here in Bowie County. I want Bowie County to be as self-sufficient as possible, being able to professionally take care of our business and being the county other jurisdictions call, when they need help. Being a past drug dog handler and trainer, I decided I would recruit and train a team of civilian volunteers to form a qualified search team, who live in this area. The first recruitment meeting resulted in 43 people bringing their dogs to attempt to train them. The team trains weekly at least once a week or more. A lot of people realized that it took to much time away from their jobs and that is understandable. There have been a number of people come and go. Right now there is approximately 30 members who are very dedicated to this mission, who have been with the team for awhile. They give freely of themselves to search for others! They do not get paid for this work! They are strictly volunteers! They spend a lot of their own money taking care of their dogs and horses, attending training seminars, buying equipment and traveling to searches. They have searched as far away as Sherman, Tx. They have searched in Oklahoma and Arkansas. They have made many searches in Cass County. This past July, while attending the Texas Sheriff’s Conference, the Sheriff from Hopkins County (Sulphur Springs) told me he had a man who had been missing for two weeks. I was told searchers had been looking for this gentleman for the entire two weeks. I told him about our team. We went there to search the very next weekend, after the conference. It took our team two days for us to find the man. He was found by our mounted horse team. Another recent search resulted in our team going to another nearby county and searching for an elderly man, who had been missing all day. One of our dog teams found him about one hour after they arrived on scene. We have dogs trained to find drowned victims, as well. The team has managed to acquire very high-tech computer and mapping equipment, along with GPS and radios to go in their command post, all purchased with grant money and donations from the community! Yes, I am very proud of this group of dedicated people, who care about their community and give of their free time and sweat! 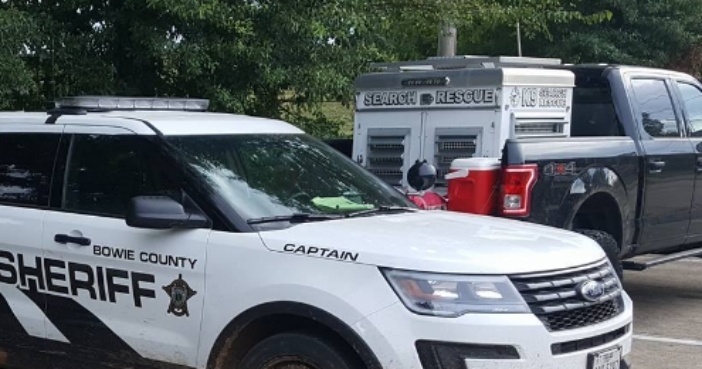 Not only do they provide a free service to the citizens of Bowie County, but make this county look very good, when they pull onto a missing person search scene, with their command post and logo on the side, showing they are Bowie County Sheriff’s Search and Rescue Team! They make us look good and I thank them for their services! In addition to all they do, they come to the schools during our BASE classes and teach 5th graders what to do, should they ever get lost in the woods!